Lighting is an essential part of any occasion. 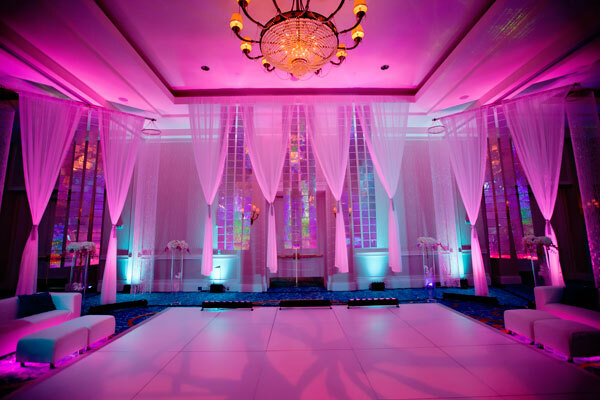 Whether it be a wedding, a social event, or just a nice date, the lighting gives away hints about the mood of the event and, as you may have heard, is often said to “set the mood.” We at Exceptional Events have a few suggestions for you on how to use various types of lighting to their fullest potential and to your advantage. This is achieved in a variety of ways, but simply put, it comes from many soft light sources that cast a warm glow over the venue. 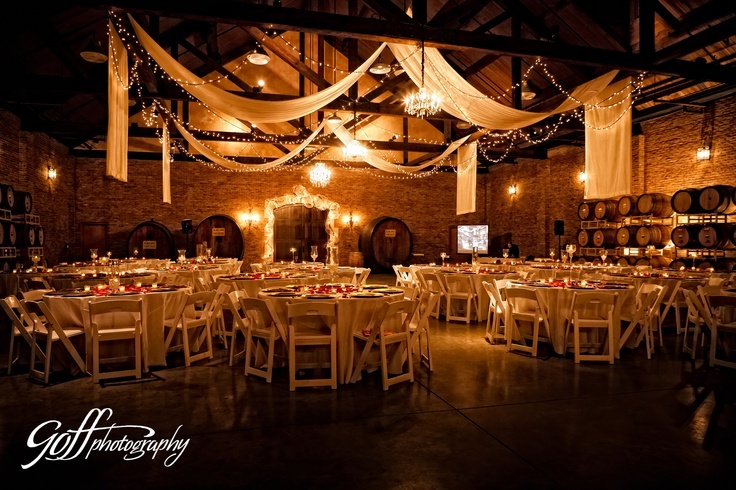 Candles, overhead lighting, and twinkly lights are all good options to achieve this effect. If you’re looking for something overflowing with romance, this is your style! Sometimes in a beautiful venue, natural lighting is all you need to achieve that perfect setting. This is a great option for more casual events and is especially nice in the spring. It seems to go hand in hand with rustic, whimsical themes, but can be very versatile in its uses. For the more adventurous people, there is colored lighting. This is a perfect way to incorporate the theme colors of your event into the venue and can provide that little extra splash of fun that makes for a great event. Combined with fabric and large, open spaces, bold lighting boosts any event up from good to great! 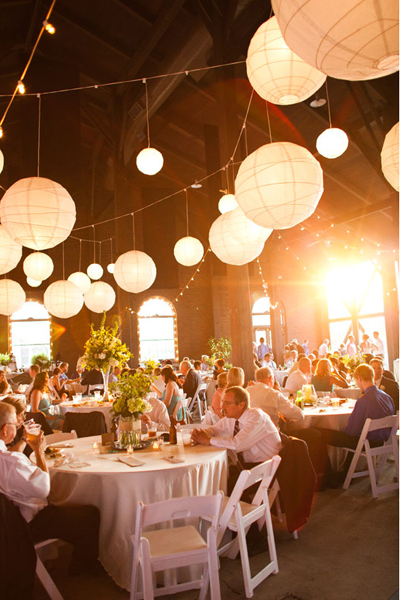 Although natural light is great, a little extra source of lighting can provide the perfect amount of glow for an amazing event. By using simple paper lanterns, lamps, or candles, you can take your lighting up a notch and achieve a slightly different effect than anything we’ve mentioned so far. It’s easy to create your perfect lighting by using a combination of light sources! Although we only talked about a few types of lighting today, the possibilities are endless when it comes to setting the mood for any occasion. By deciding what kind of setting you’re looking for and identifying what your style is, you can combine any and all lighting sources to create your perfect event. Let your personality shine through your lighting effects!